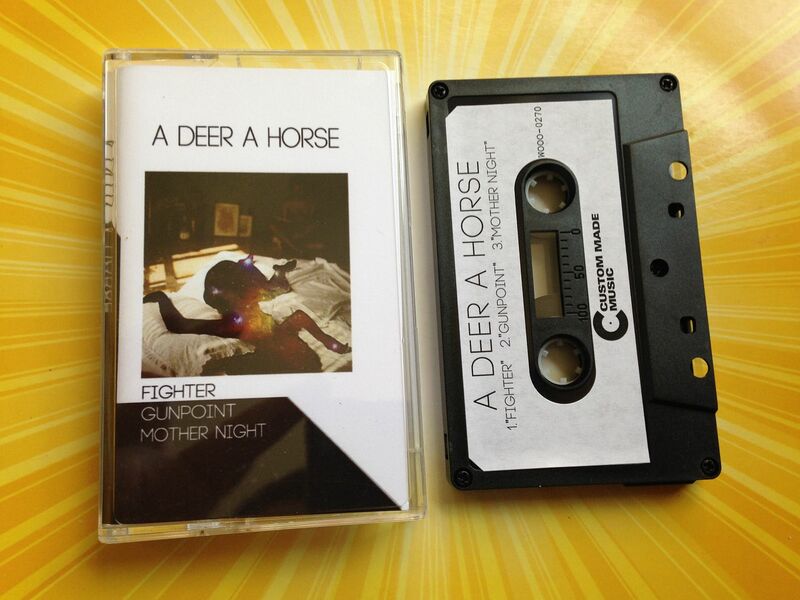 This cassette by A Deer A Horse (Aren't they related?) 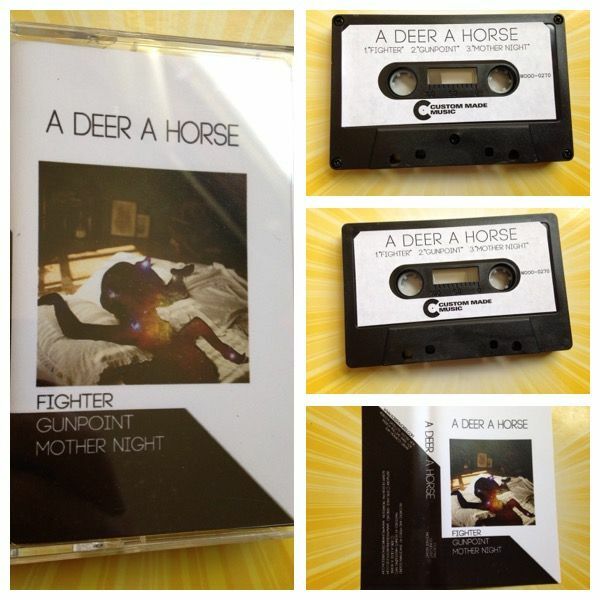 is three songs and as such the title of the cassette is the title of each of those songs. Somewhere between Blondie and The Mars Volta, the first two songs come out rocking right away. Smooth guitar riffs like Santana and there is just this overall feel as well that makes me think I'm watching anime, which can sometimes be a bad thing but in this case it is okay. "Gunpoint" does have these bluesy starts and stops like The Clash would have used and by the last song, "Mother Night", things slow down into a big rocking, mellow ballad of sorts. Through dark guitar notes the lyrics come out about being "guilty as charged" and this just leaves me wondering what the question is because this does have a sense of Joan Jett to it as well. It's always been one of those personal policies of mine not to review "singles" because it is hard for me to judge a band based upon one song and at the same time I get something, like, a hundred emails every day of people wanting me to hear their latest single. It'd be far too time consuming and I feel kind of like a big record label with the mentality of "cut a demo and we'll talk". In any case, it's hard to deny the review of a single song because then you have to ask yourself where to draw the line. Would I review two songs if someone called it an EP? Three songs? Is four songs my minimum? What is it? I don't know, but it helps to have it on cassette because if you put even a single song on a cassette I probably would review it. 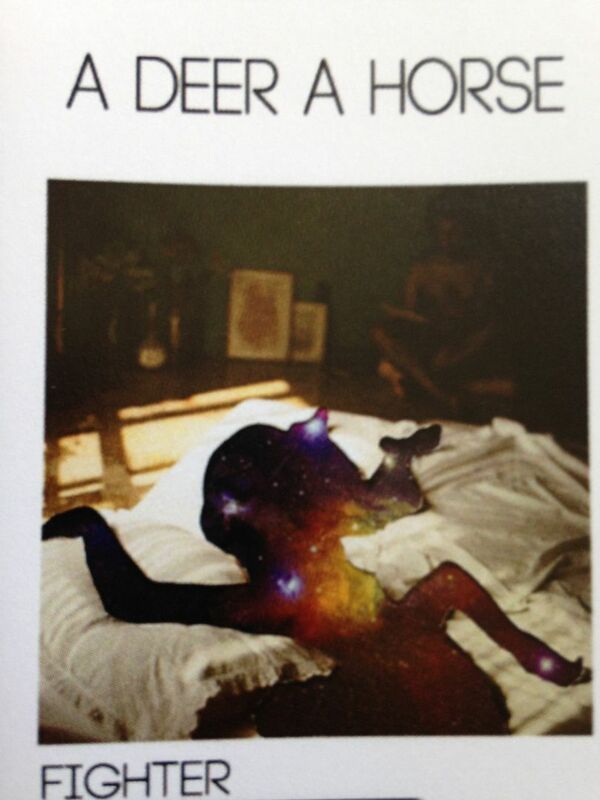 Luckily for all involved, I can tell you that based upon these three songs A Deer A Horse is a force to be reckoned with.